Saturday the Bulls celebrate the 20th anniversary of their first NBA championship with a reunion ceremony for the players from that team. 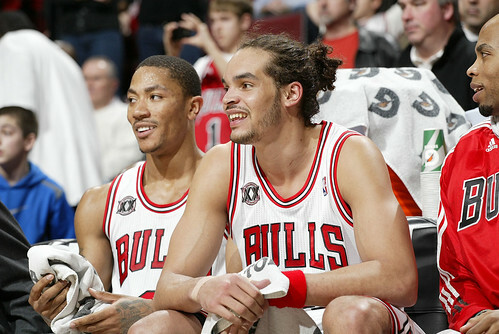 On Friday, these 2011 Bulls took a page out of the book of their champion ancestors in a 94-76 rout of the Atlanta Hawks. “We tried to take their confidence five minutes into the third quarter,” said Derrick Rose, who led the Bulls with 34 points, including 18 of the Bulls’ 24 in the third. “That’s what we always say (at halftime). We’ve got to take control of the game. The Bulls sent the message with the basketball version of a shutout, 10 Hawks third quarter points and holding Atlanta to 26 in the second half. This just a week after the Bulls blew a lead and lost 83-80 in Atlanta. It was the formula of sorts of that first championship team and its successors. Get the license plate of the team that ran you over, remember what they did and how they celebrated, like the Hawks did last week with Al Horford getting 31 points and 16 rebounds. Prepare, remember and don’t take your foot off their necks. Get the last word, or basket, and plant the seed that will grow into a tree of doubt. Make sure you make the last statement. Avenge every loss. 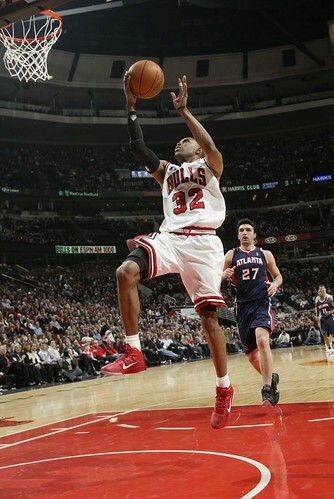 The Bulls did in full throat as Horford eeked out six points and seven rebounds as the Hawks crashed. Fans around the Hawks bench said Hawks’ players were cursing one another, especially Josh Smith, who also was throwing up a wild assortment of questionable shots and going four of 13. 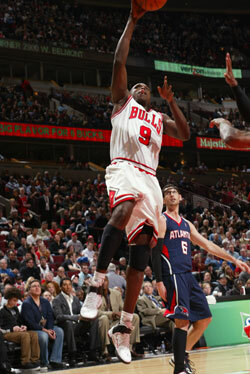 And then there was Joe Johnson, who looked like he was wondering what he’d done in a somnambulant 16 points. 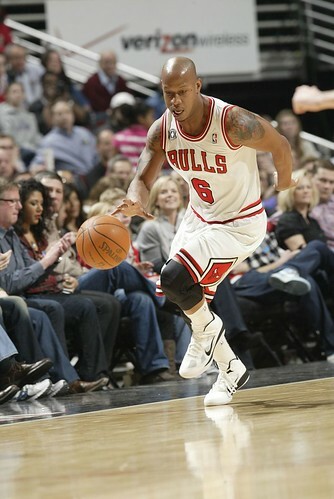 Johnson was ticketed to the Bulls last summer in free agency, sources said. 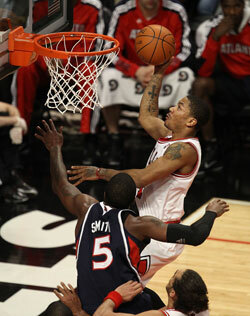 He and Rose had become close and Johnson saw himself as the ideal shooting guard to play off Rose. The idea, assuming the Bulls couldn’t get the Big Two Point Five was to pair Johnson with Rose and add a post player like Carlos Boozer, who was out with a sprained ankle Friday. But the Hawks shocked Johnson on the first day of free agency with the biggest offer any free agent received, about $126 million. That was about $30 million more than the Bulls could even offer. Johnson felt he had to take it. But he played with a forlorn expression as the Hawks fell to 37-28. He is surrounded by a mostly undisciplined group of jump shooters who don’t figure to have much playoff staying power. What is he going to buy with that extra $30 million that would be worth playing for a team like the Bulls at this point? 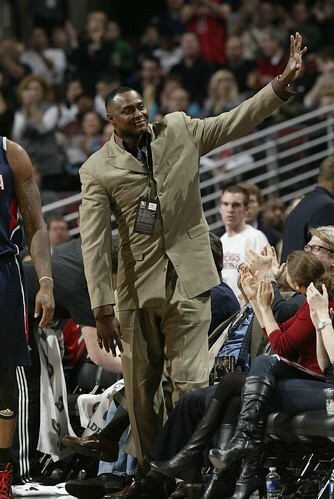 And perhaps being that missing perimeter shooting piece? Of course, one could say the Bulls in failing to land two so called max free agents may have stumbled into the right path as they had to build a bench, and the reserves were big once again. The Bulls bench with all seven players scoring outscored Atlanta’s 38-26 in a game Rose and Luol Deng were the only starters to score in double figures. So was the result at the end of the night as the Celtics lost in Philadelphia, leaving the 46-18 Bulls just a half game behind Boston for the best record in the Eastern Conference. 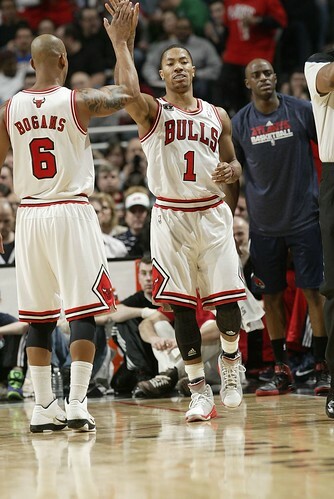 It was the Bulls 10th straight home win and fifth straight overall. It has become the trademark of this team. 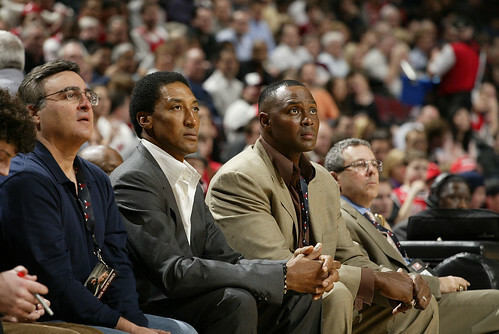 Actually much as it was 20 years ago with Johnny Bach’s defensive Dobermans of Michael Jordan, Scottie Pippen and Horace Grant. Though Jordan’s fame and scoring overshadowed so much, opponents understood it was the Bulls defense that made them special. It was a different type of defense then, more pressuring to get steals and disrupt the offense and get out and run. The Bulls would like to now, but they don’t have the athletes to match that team. So they work hard, helping in rotation, retreating, getting out to the three point line, closing the middle, forcing the pick and roll to help, ever relentless. 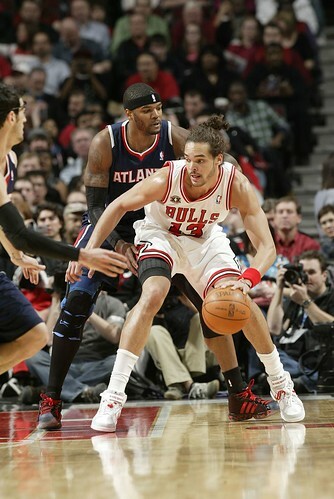 It’s made the Bulls the league’s best defensive team without anyone generally regarded as an all-league defender. Though coach Tom Thibodeau has a nomination. And Deng wasn’t even planning to play. 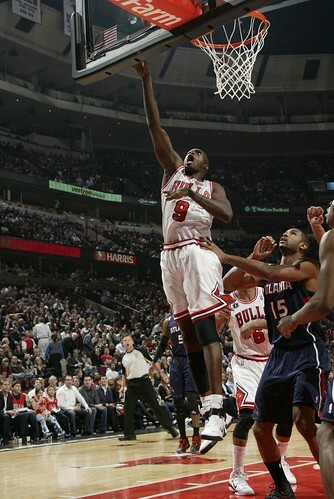 He suffered a bruised thigh against the Bobcats Wednesday, went out and tested it before Friday’s game and decided he couldn’t go even as Deng said his goal this season has been not to miss a game. Which said something about both Thibodeau and Deng and where this team is now. I don’t think Thibodeau would ever force an injured player to play. But he asks a lot and wants every player to test his ability to play through discomfort. It often makes the difference in a winner, who can push through when the game becomes harder. Perhaps Deng wouldn’t have pushed as hard in previous seasons. 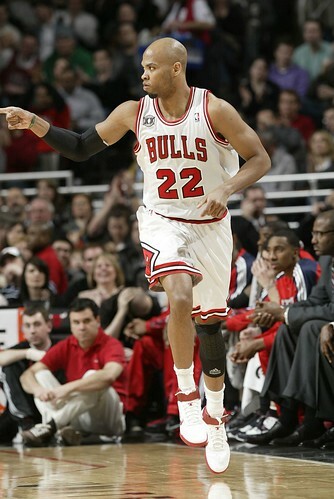 But he’s engaged with this team like never before in leading in minutes played and playing through what he can. Once in, he never asked out even as he admitted having trouble stopping hard, which is a big part of his driving game. But these players drive through. I’ve had several coaches tell me the Bulls may not be the most talented, but no team plays harder on a regular basis and for longer in games. 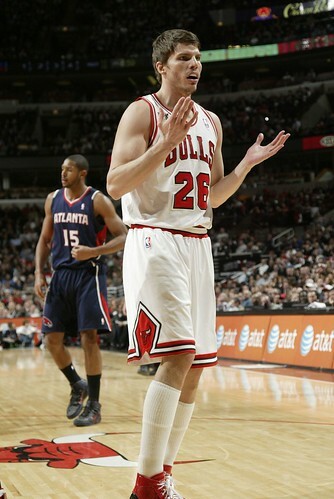 And it was something of a familiar pattern Friday as the Bulls led 22-20 after one and trailed 50-48 at halftime. Though Thibodeau prefers they play hard for 55 minutes, meaning all 48 minutes and the last seven minutes of warmups, Rose tends to survey more in the first half as the defense adjusts. With Boozer out, Thibodeau passed on Gibson and decided to start Thomas, who hadn’t played since just after the All-Star break. 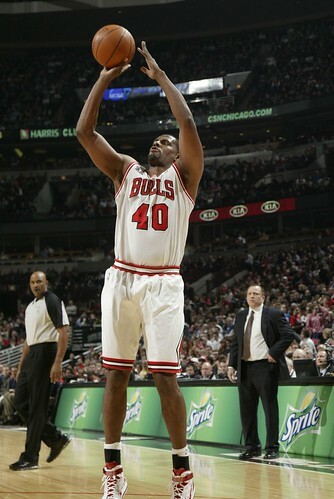 Thomas played 35 minutes and had a game high 13 rebounds. Noah had struggled with Horford in Atlanta last week, so Thibodeau played the bigger Thomas against Horford, pushing Horford more outside. Noah stayed with Smith and Noah’s size kept Smith shooting rainbow jumpers that found only a pot of empty. Which suddenly is making the Bulls very much a threat. Boston traded Kendrick Perkins. The Magic traded Marcin Gortat. The Knicks traded all their size for Carmelo Anthony. Miami hasn’t had centers. The playoffs are about size, and suddenly the Bulls look like the biggest, toughest team in the East with multiple seven footers. 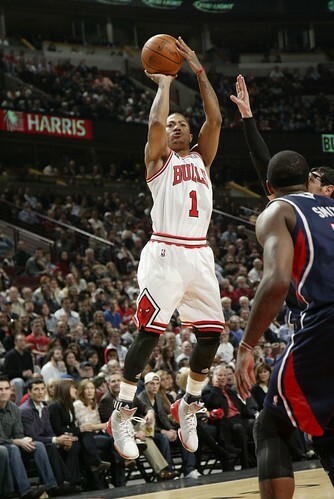 Rose was just two of 11 in the first half while the Hawks shot 52.5 percent and leading by two. 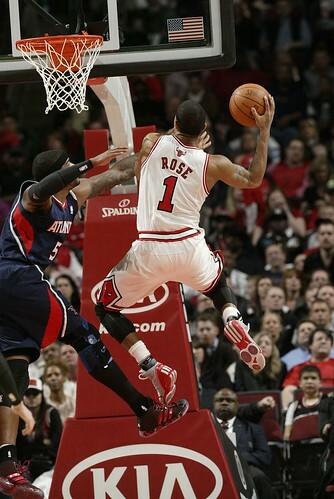 Realizing his shot wasn’t tight, Rose was getting to the basket and getting free throws, 14 of 15 at the line for the game. The Hawks are mostly a jump shooting team, and they were making some tough ones as Jamal Crawford came in with 14 off the bench. The Bulls reserves in their regular rotation to open the second quarter took a 34-27 lead with a pair of Asik offensive rebound scores and a strong slam from Gibson. But the Hawks shot their way back in. So back to the second half script: Tighten the defense, challenge harder, blitz the picks and get back. And let Rose go. Kid Phenom then came out flying, scoring 18 points around two Deng free throws on mostly drives down the Hawks soft defensive throat, either beating his man off the top after a brutal Thomas screen and then attacking at the basket or pushing out in transition. 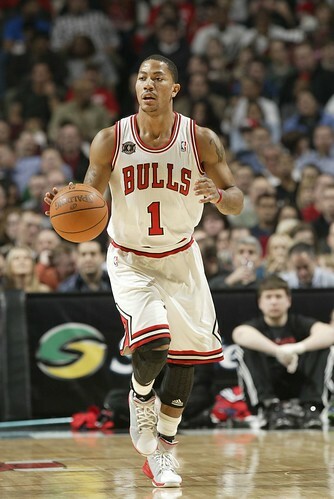 Rose did and his run gave the Bulls a 66-55 lead with just under four minutes left in the third quarter. 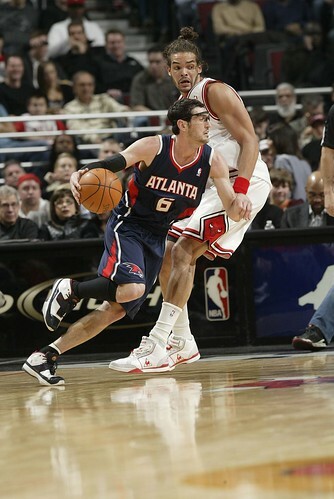 The Hawks never trailed by less than double digits after that. 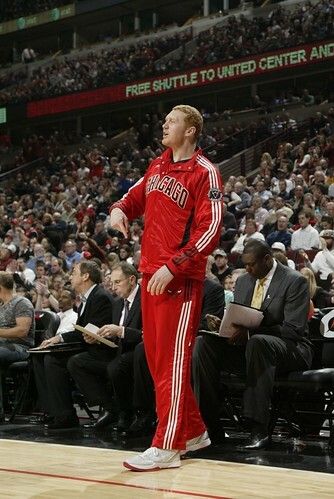 Fan favorite Brian Scalabrine got in for a minute and took two shots, making one. “I’m shooting now,” he decided. New Bull Rasual Butler got in for the first time and played 2:33 and was one of two on threes. 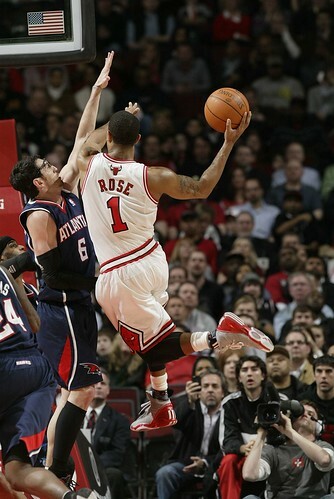 I assume at 50 percent he’s now the Bulls career three point shooting percentage leader.